Founded early last year by members of Light Beam Rider, after that promising former Mississippi-bred project split, Have A Rad Day, or H.A.R.D., as they generally go by, have been gaining local buzz since first appearing on a number of bills last year. The group only released their first single, “Bellyacher,” a few months ago, but with production from Diarrhea Planet’s Jordan Smith, and guest vocals from The Weeks’ Cyle Barnes, it served as an exciting, commanding, confident introduction, establishing the band’s sound somewhere between DP’s shred-worthy, riff-tastic, fun loving party punk, and The Weeks’ sludgy, southern rock. Another single, “Hometown Hero,” further flexed H.A.R.D.’s range, and their debut EP, Have A Rad Day, which arrived just last week through The Hater’s Ball, serves a hell of a first effort, landing as one of the year’s best local releases, and asserting H.A.R.D. as the next great Nashville rock band to watch. Tonight, June 28, the group will celebrate their new record’s release with a headlining show at Mercy Lounge, and they’ve recruited an impressive supporting lineup to ensure it’s one of the best rock shows you can find- all for just $7 to boot. Hailing from Chicago, Modern Vices fuse garage rock sensibilities with an affinity for classic doo-wop, landing on an eclectic and unique sound. 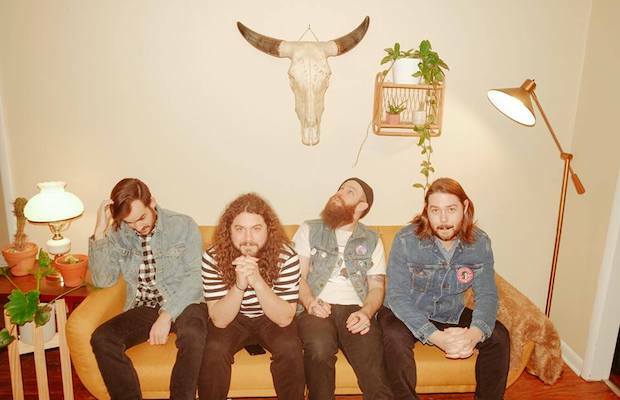 Local support comes from Dan Luke & The Raid, the fast-rising psych-rock project fronted by Dan Shultz, the little brother of Cage the Elephant’s Matt and Brad Shultz, and indie/psych faves That’s My Kid. It’s a stellar affair from top to bottom, and with a wallet-friendly cover, this might be the most essential performance you can see all week! H.A.R.D., Modern Vices, Dan Luke & The Raid, and That’s My Kid will perform tonight, June 28 at Mercy Lounge. The show is 18+, begins at 8 p.m. (doors at 7 p.m.), and tickets are available to purchase for $7. [PREVIEW] The Cunning w/ North By North, Ravenhill and ATA at The End TONIGHT!